Armstrong Chemtec brings 70 years of process heat transfer experience to electric heater design. Armstrong Chemtec will work with you to determine the best electric heater for your application. 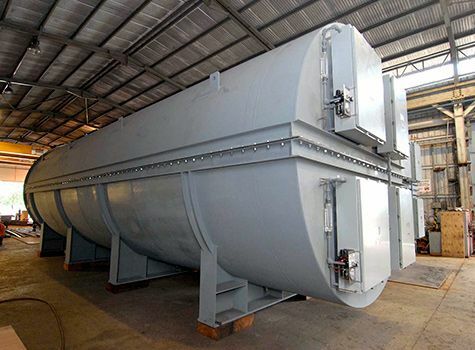 In addition to meeting all thermal and hydraulic constraints, Armstrong Chemtec electric heater design also considers process and fluid behavior. Armstrong Chemtec custom designs and manufactures every power control panel to the unique requirements of each electric heater. 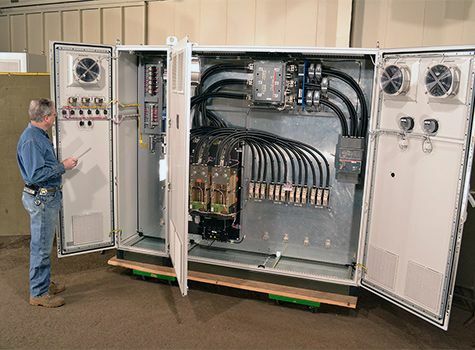 Each control panel incorporates your requirements with industrial norms using field proven parts and heavy duty, conservatively sized, power cabling in a NEMA or IEC enclosure. Many of the available components and trips are provided standard within Armstrong Chemtec power control panels. Armstrong Chemtec finned element heaters provide the features of electric immersion heaters with larger heat transfer surface areas for a given shell size, making them ideal for high viscosity and low Reynolds number flows. A thick sheath and welded fins make this heater very durable, leading to a long operational lifetime. Various fin geometries and the three-phase nature of the elements add to the versatility of the Electrofin heater. 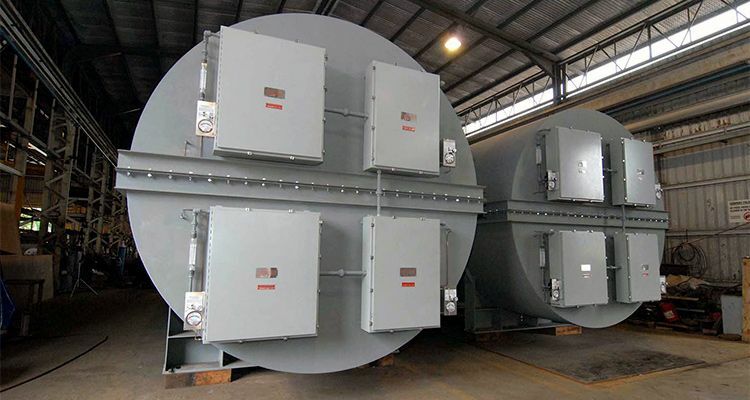 Armstrong Chemtec fluidized bed radiant heaters heat and maintain temperature for fluidized bed reactors. 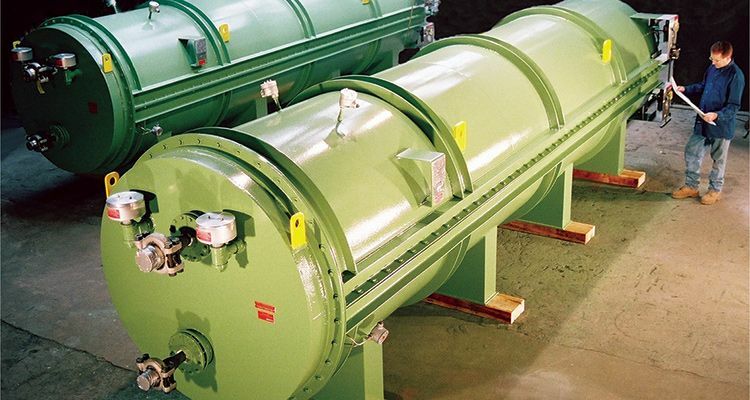 These low maintenance heaters are supplied in three 120° sections, and encapsulate the entire section of the reactor that requires temperature control. 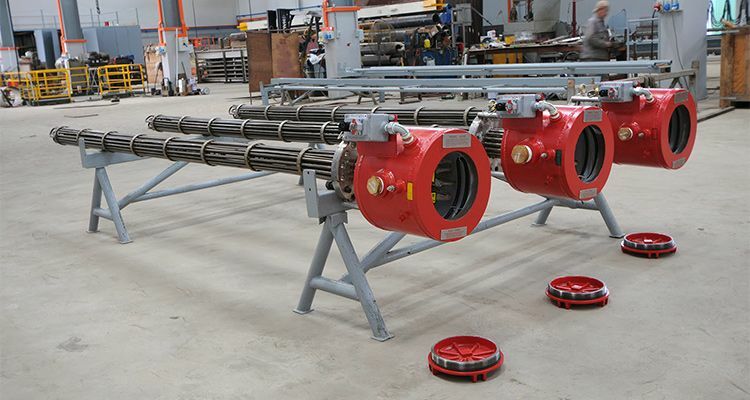 Armstrong Chemtec fluidized bed radiant heaters have been used most frequently in catalyst regeneration, activation, dehydration, and polysilicon manufacturing. Immersion heaters employ a bundle of metal sheathed, U-shaped electric heating elements enclosed in a pressure-containing shell. Armstrong Chemtec immersion heaters are used in applications where there is a relatively high heat transfer rate from sheath to process fluid. 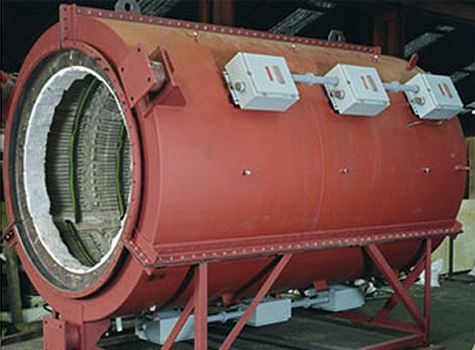 These heaters are designed using proven temperature determination techniques to optimize performance and element life. 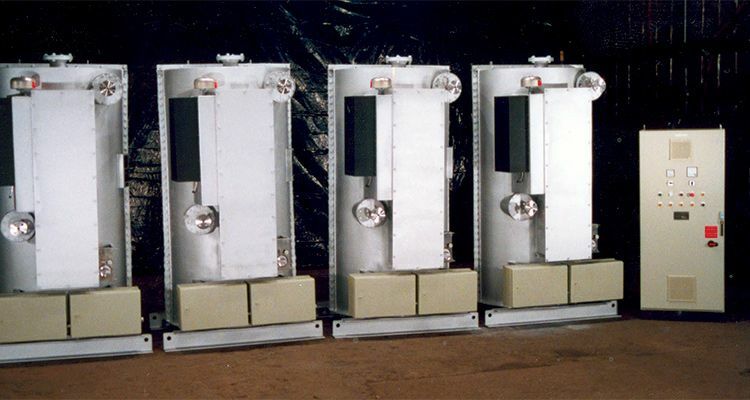 Armstrong Chemtec impedance heaters necessitate the integration of electrical engineering, heat transfer engineering, and mechanical engineering concepts by using the process fluid containment vessel as the electric heating element. 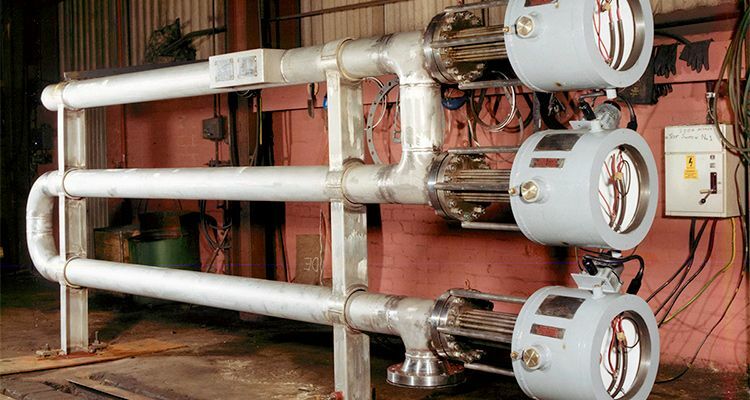 Armstrong Chemtec Radiant Electric Process Heaters are used for heating process gas streams, including those that may contain fouling or corrosive components. In these heaters, electric heating elements, attached to the inner wall of the heater's insulation, surround a process coil and radiantly transfer heat through the coil to the contained fluid. These heaters are typically used for heating hydrogen, silicon tetrachloride, fluorine compounds, hydrocarbons, air and helium. All parts of the heat transfer surface are heated evenly. Separate heating zones may be implemented when specific time/temperature relationships are required to optimize process results. 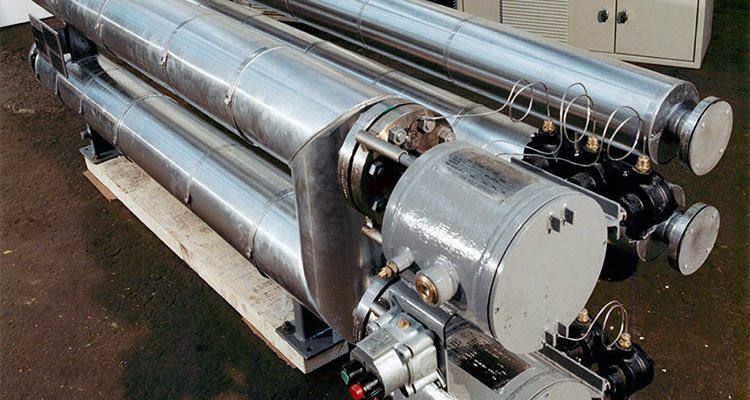 Armstrong Chemtec radiant process heaters are designed for long-term, reliable use. 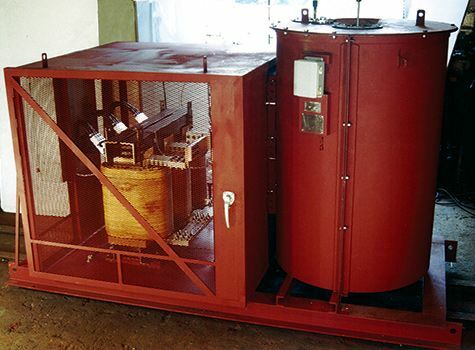 They may be made suitable for installation in classified hazardous areas by purging the process coil enclosure. 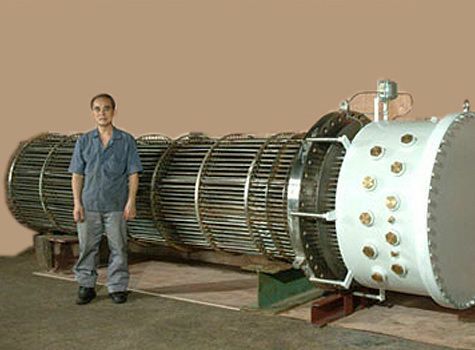 Heavy-duty nickel-chrome heating elements are supported at the inside diameter of the insulation by electrically isolated, high temperature ceramic material. A serpentine or helical pipe coil configuration provides the best heat transfer while meeting your hydraulic requirements. Coil materials are typically any of 300 series stainless steel, Inconel® 600, and Incoloy® 800 and are chosen to suit your process requirements.